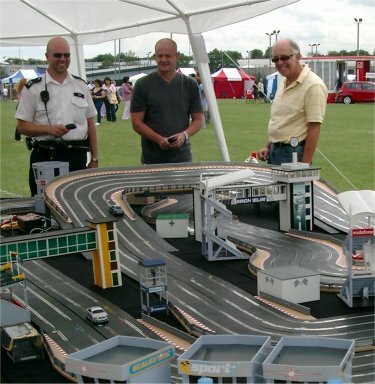 Just to say a very big thank you for bringing your fantastic Scalextric race track to Relay for life on Saturday, and helping us raise money for Cancer Research UK. 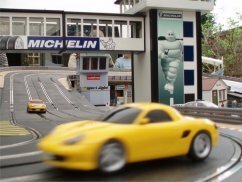 Your whole Scalextric set up is very professional and your lively enthusiasam went down very well with all who gave it a try. Much fun and excitement was had by all, both youngsters and the young at heart. I shall certainly be pleased to pass on your name and would be glad to recommend you and your racing set up.